In his professional life, Norman struggled against prodigious obstacles, including what he called the “constant pessimism and scare-mongering” of critics and skeptics who predicted that in spite of his efforts, mass starvation was inevitable and hundreds of millions would perish in Africa and Asia. 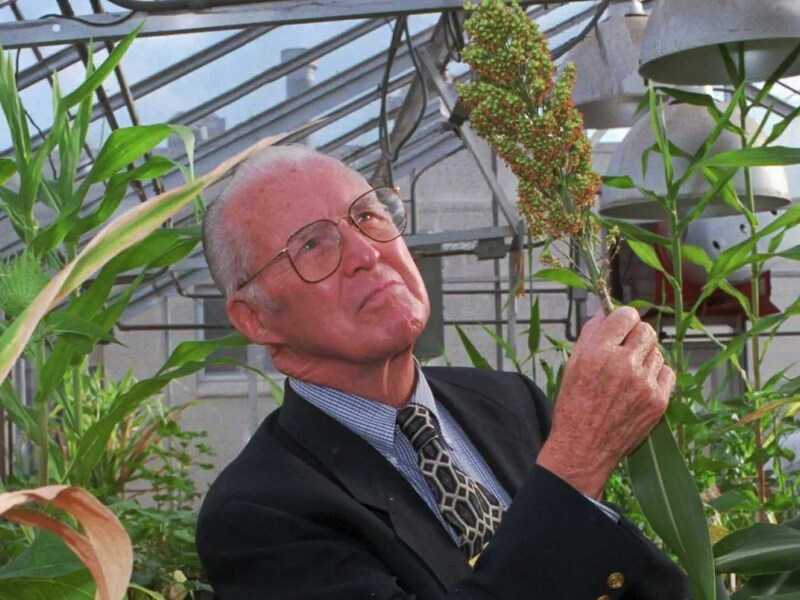 His work resulted not only in the construction of high-yielding varieties of wheat but also in new agronomic and management practices that transformed the ability of Mexico, India, Pakistan, China, and parts of South America to feed their populations. How successful were Norman’s efforts? From 1950 to 1992, the world’s grain output rose from 692 million tons produced on 1.70 billion acres of cropland to 1.9 billion tons on 1.73 billion acres of cropland — an extraordinary increase in yield per acre of more than 150 percent. India is an excellent case in point. In pre-Borlaug 1963, wheat grew there in sparse, irregular strands, was harvested by hand, and was susceptible to rust disease. The maximum yield was 800 lb per acre. By 1968, thanks to Norman’s varieties, the wheat grew densely packed, was resistant to rust, and the maximum yield had risen to 6000 lb per acre. Without high-yield agriculture, either millions would have starved or increases in food output would have been realized only through drastic expansion of land under cultivation — with losses of pristine wilderness far greater than all the losses to urban, suburban and commercial expansion. I was informed that the farmers were proud of their lowly status, and was assured that they wanted no change. After my own experiences in Iowa and Mexico, I didn’t believe a word of it. In Pakistan and Egypt, government research directors actually sabotaged trials of Norman’s seeds in order to discredit his work. As a result, people starved. Please read Dr. Miller's essay – you'll be glad you did.